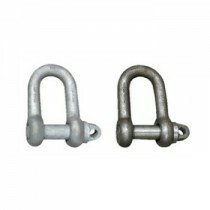 Shackles are U-shaped pieces of metal with a pin along the non-curved side used in rigging applications. 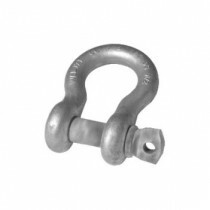 We stock both DEE and BOW shackles which are used for different purposes. All shackles are galvanised, some come with screws pins or safety pin locks, and some are suited for lifting purposes and some are not. 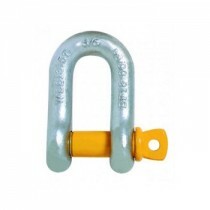 Our shackles that conform to AS 2741 are ideal for lifting purposes. 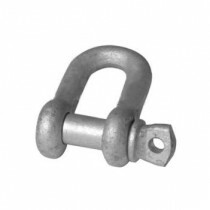 The DEE shackles, also known as chain shackles, are available in normal, Grade M and Grade S with the latter having a higher strength to size ratio. The loop is shaped like a chain and can take high loads that are primarily held straight in line. 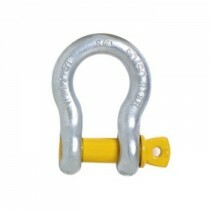 Loads that are lifted from the side or in a rack formation may cause a twist or bend in a DEE shackle. 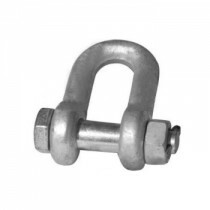 The BOW shackles are available in normal and Grade S. Whilst the BOW design reduces the overall strength of the shackle when compared to a DEE shackle, the advantage of the rated BOW shackles is that it can take loads from many directions without developing significant side load. Our DEE and BOW shackles are sourced from reputable manufacturers that understand the importance of their use in rigging applications. 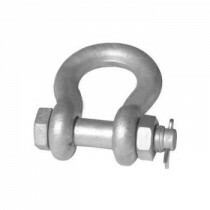 Crafted from quality materials and galvanised to help minimise corrosion, our shackles have been tested to provide superior performance on site. Turn to Keble’s Trading for dependable-grade DEE and BOW shackles. Talk to us! We speak your language! We understand your business. Call us at 1-800-067-687 or fill out the contact us form below. No inquiry is too large or too small. We would love to be of service to you today!